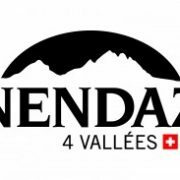 Nendaz ski pass offers have been released by TéléNendaz for Winter 2018/19. Follow our instagram account and blog to keep up-to-date with all the current news and information from Nendaz and the 4 Vallées. 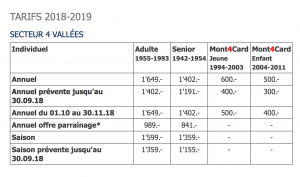 TéléNendaz are again releasing their Mont4Card which is an annual ski pass for those aged 7-25. 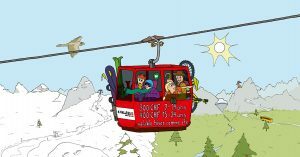 Because it is an annual pass, not just a season pass, you can enjoy Nendaz’s lifts throughout the summer. This gives you access to mountain biking, hiking, scooter riding, as well as Via Cordata and Via Ferrata trails. 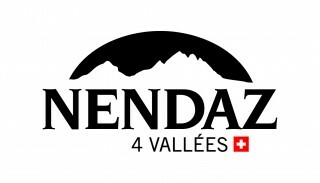 See more summer activities on the Official Tourist Office website of Nendaz. Make sure you have ordered your Nendaz ski pass by 30th September 2018!